Japan is in a recession: Why is its unemployment so low? 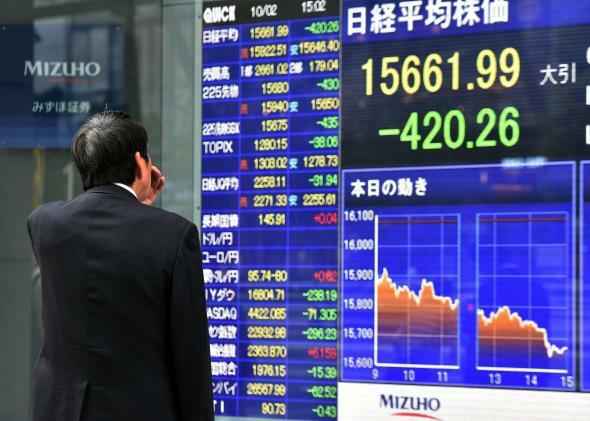 The big economic story this morning is that Japan has officially fallen into a recession, seemingly thanks to an ill-advised national sales-tax increase meant to combat the country’s hulking national debt. Last quarter, the country’s gross domestic product shrank at a 1.6 percent annual rate, after falling even faster during the three months before. As the New York Times and others have noted, the contraction is a bit of a surprise, and could mean political trouble for Prime Minister Shinzo Abe. Two quick lessons from today’s news. 1) Mixing stimulus and austerity is a bad idea. This recession is very much a self-inflicted wound for Japan. After he was elected in 2012, Abe began implementing an aggressive stimulus program—nicknamed “Abenomics”—that combined government spending and quantitative easing to finally pull Japan out of its decades-long struggle with deflation and poor growth. Initially, it seemed to work, boosting both inflation and growth. However, Japan has a staggering national debt—as the Economist has noted, just paying it off eats up half the country’s tax revenue. To slow down the debt’s growth, the government raised its sales tax for the first time since 1997, from 5 percent to 8 percent, and scheduled an increase to 10 percent for next year. Even at the time, observers were worried that this might halt the economy’s recovery, since slapping middle-class consumers with a large sales tax increase is a really good way to get them to stop spending. And the skeptics were right. Household spending dropped after the tax went into effect. It didn’t help that real wages have been falling in Japan, as inflation (spurred on by Abenomics) has risen faster than pay. Japanese families have, in effect, been getting poorer, and hitting them with a round of new taxes didn’t help matters. At the moment, Abe is considering delaying the second half of the tax hike next year. 2) Japanese recessions are not like American recessions. While Japan’s economy may be contracting, its unemployment rate is still just 3.6 percent, barely up from the 16-year low it hit during the summer. Noting the country’s low joblessness, the Money Illusion’s Scott Sumner quips: “I say if Japan is in recession it’s time to redefine the term.” That’s one way of looking at the issue. But Japan has always had extremely low-unemployment—possibly in part, as Noah Smith has argued, because its wages tend to fall when the economy gets rough, which helps keep people at work. So whereas American recessions tend to lead to high joblessness, the thing to worry about in Japan may be further declining pay, which would of course make it even harder for Abe to pull the country out of its long-term deflationary slump. On the bright side for Japan, the country is testing out an amazing maglev train capable of traveling at more than 300 miles per hour (here in the U.S., our dopey Acela tops out at 150). So, you know, GDP growth isn’t everything.